Since the first bottle of Maker’s Mark was filled in 1958 by the Samuels family, they have attempted to do things a little different than the rest of the Bourbon industry. Right out of the gate Bill Samuels Sr. chose to use wheat as the secondary ingredient for Maker’s Mark in hopes it would produce a softer, sweeter Bourbon when compared to others that normally use rye. They have been considered pioneers in marketing. Constantly changing their ad campaigns that usually have a mixture of quirky, classy and modern tones. 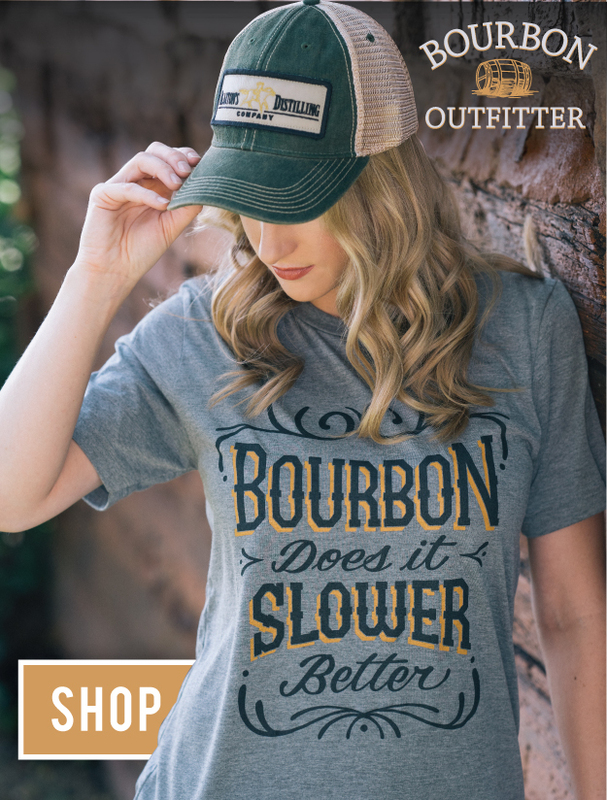 Their distillery was one of the first to court large crowds of Bourbon enthusiasts so they could witness the process of making Bourbon first-hand. When it came time to bring another mass-produced Bourbon to market, they chose to launch Maker’s 46, using an aging process no other Bourbon company had performed to date. Now, Maker’s just revealed a program to some of its most loyal retail and bar customers to select their own barrel. And of course, the folks at Maker’s have made this an experience that will be hard for other Bourbon companies to copy. Ironically, for a company that pumps its chest about being different you might be surprised to learn that for 52 years Maker’s pretty much made only one brand. They have released a few different variations of Maker’s Mark that were bottled at higher proofs here and there, but were only available to export markets for a limited time. Maker’s Mark employee Jane Bowie sums it up with, “Those who have spent any time at Maker’s Mark know we preach consistency with distilling. Everything we do has been from one man’s vision [Bill Samuels Sr.] since 1953. He laid out what he thought his Bourbon should taste like, and 147 people show up here everyday working towards that taste vision. Bill Jr. along with their Master Distiller at the time, Kevin Smith, got to work and thought about what they wanted their new Bourbon to taste like. They both agreed that amplifying the baking spices, especially the cinnamon and vanilla flavors that are already present in Maker’s Mark would be their goal. Bill Jr. and Smith then turned their attention to their barrel maker, Independent Stave Company (ISC) to help make their taste vision come true. After 124 experiments, ISC helped Maker’s zero in on a process that exposed mature Maker’s Mark to French oak staves that had been placed in a recently dumped barrel. These staves had been seared on both side with infrared heat in order to release the specific flavors in the wood that Bill Jr. and Smith wanted. Those three men settled on a process that required 10, one-inch thick toasted French oak staves to be inserted into a barrel that originally housed Maker’s Mark. The barrel is then refilled with mature Maker’s Mark were it will age another nine weeks. And because no unnatural agents are added and the special staves are from oak, the product is still a Bourbon. Maker’s only fills barrels for Maker’s 46 from October through February. The last barrels that get filled are scheduled to be ready for bottling no later than May. Maker’s doesn’t age Maker’s 46 in the summer months because the heat forces the Bourbon to have too much interaction with the inserted French staves, which causes whiskey to take on too many tannins. If the Maker’s 46 barrels are exposed to heat over 60 degrees, they will take on too much unwanted flavor from the tannins located deep inside those French oat staves. When Maker’s started looking at doing a barrel selection program, they immediately ruled out the traditional system of having a buyer visit their distillery to taste several barrels and buy the one they enjoyed the most. Instead they opted to put together a program that allowed buyers to build their own unique barrel of Bourbon. “When we originally looked at doing a barrel selection program, we thought it seemed really boring, because everything we do is about making [Bourbon] taste the same” Bowie shares. But, Maker’s had gained a significant amount of knowledge on how to manipulate their flagship product over the two years spent developing Maker’s 46. Several different oak staves were used while performing those 124 different experiments Bill Jr. and Smith conducted. So, Maker’s decided to implement the lessons learned from Maker’s 46 to develop a barrel buying program that allows the buyer to craft their own barrel based on what flavors they choose to amplify. Again, Maker’s went to ISC and worked with them to develop other staves that could be used to tweak the flavor of regular Maker’s Mark. These staves are supposed to amplify the existing flavors of Maker’s Mark as well as add some new ones. They are known from left to right as: Baked American Pure 2, Seared French Curvee, Maker’s 46, Roasted French Mocha, and Toasted French Spice. 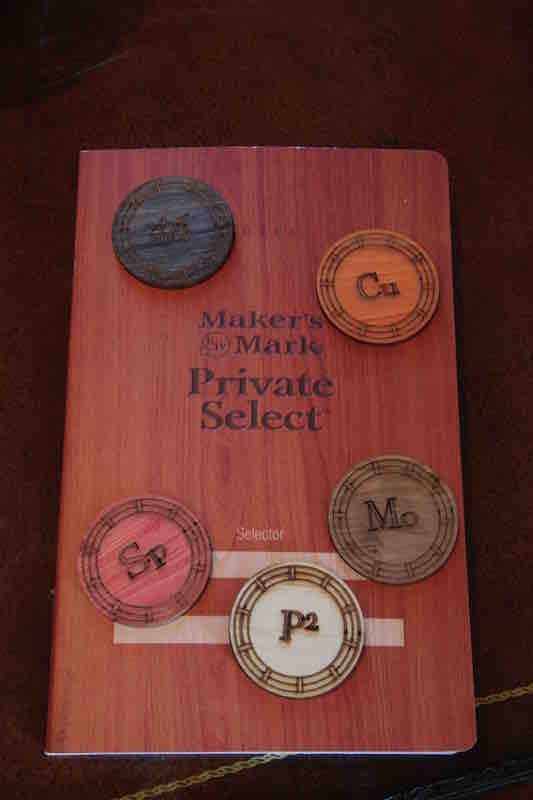 It seems that ISC has once again risen to the challenge of what Maker’s Mark envisioned for the 40 customers they chose to participate in the inaugural Maker’s Mark Private Select. 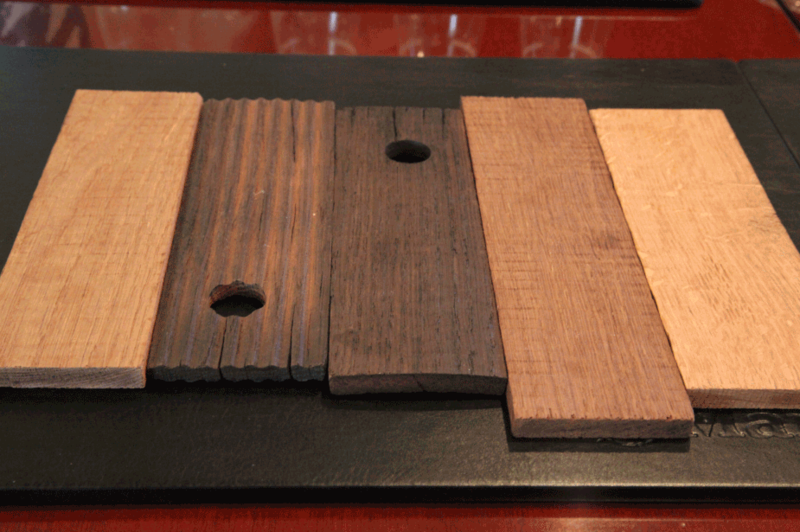 Along with the seared French oak staves used for Maker’s 46, buyers of Private Select barrels can select up to four other staves to add different flavors to the overall taste of their barrel. After the story of Maker’s 46 is explained to Private Select participants, they are educated about oak and where the flavor lives in the wood. Participants are given summaries on which flavors can be released based on the duration and temperate the staves are cooked for. They’re also schooled on the physiological cell structure of oak and what chemical components can be altered when heat is applied to them. Once the quick Oak 101 class is over it is the time the participants have been waiting for. In front of them is a tasting mat with six altered expressions of Maker’s Mark Cask Strength on it. There is the base product Maker’s Mark Cask Strength along with five other samples. The other five expressions were created by taking Maker’s Mark Cask Strength and finishing it with a bundle of different oak staves that were designed to amplify a particular flavor. Customers who get to buy these barrels are asked to sample a version of Maker’s Mark Cask Strength that has been made using these unique staves. Each sample contained Bourbon that went through a finishing process for a year with 10 of the unique flavor amplifying staves inside of their barrel. The proof for most of these expressions is around 110. 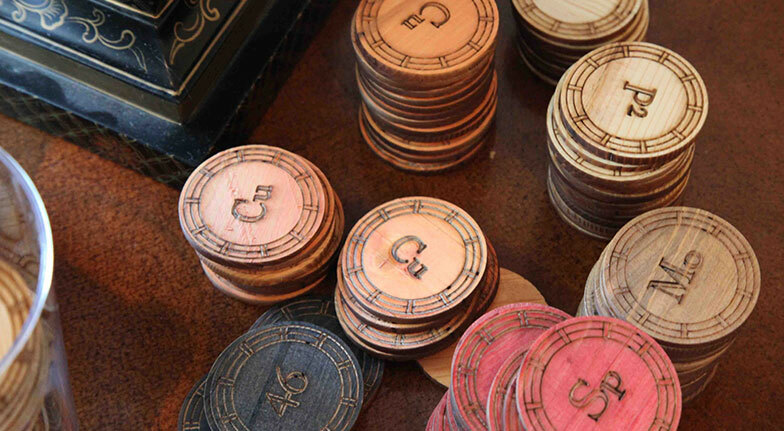 The idea is these buyers will be able to build their own unique expression of Maker’s Mark Cask Strength, by adding any combination of these 10 unique staves to their barrel. The buyers create their own blends from tasting the five samples, so they get a very close idea of what their barrel will taste like. The samples are done by creating 100 milliliter (ml) samples. Since there will be ten staves inserted into each barrel, every 10ml added from a particular sample will account for one unique stave. The buyers of these barrels are encouraged to build and sample several of their custom blends until they zero in on the blend they prefer the most. Once a combination of staves is decided on, the participants are then taken into a different part of the distillery so they can actually insert the staves themselves. A freshly dumped barrel of Maker’s Mark is opened and the staves can then be placed in the barrel right there. The participants and their barrel are then escorted to another room where a tank of Maker’s Mark Cask Strength is waiting. The barrel is then filled with the Cask Strength and then ceremonially placed in a warehouse where it will rest for around 9 weeks. Just like their regular Cask Strength and Maker’s 46 Cask Strength (which is only sold at the distillery) the barrels from the Maker’s Mark Private Select program will undergo a very light filtration process that focuses on mainly removing only the char residue from the barrels. Demand for Maker’s 46 is forcing Maker’s to break ground on an underground aging facility that will be specifically designed to age Maker’s 46 and Maker’s Mark Private Select barrels. The plan is to reach a depth that can remain 50 degrees year round so they can start aging these barrels throughout the year. This facility is scheduled to open in September of 2016. Time will tell what the demand from consumers will be for the Private Select barrels, since these selections haven’t matured yet. However, currently, Maker’s is having a hard time keeping up with the demand for 46 and its flagship product Maker’s Mark.